In general the cuisine of Bangladesh is fairly elaborate and involves addition of at least three or four spices, whereas most plants or plant parts are cooked by boiling with water till they tend to get soft and then is eaten with the addition of a little salt as a soup or by mashing them up. Some plants or plant parts are also eaten after being fried with one spice. In these forms, the use of spices and oil are found to be much reduced. In affluent households, the plant is usually cooked with fish or shrimp and not taken as soup or in mashed form, as it is followed in the poorer households, but they are sometimes consumed as a source of nutritious vegetables. Jeevak kaumarbhritya (525-450 B.C), contemporary of lord Buddha, was the first “Historical” doctor of India and the world, whose skill and excellence in field of Medical science had no bounds. He was not a doctor of any particular state but his work field was the whole “Aryavart” (Northern &Central India) and he was a doctor of both ordinary and extra-ordinary people. He successfully treated iconic personalities like lord Buddha, Magadh emperor – Bimbasar & Avanti King – Chand Pradyot. The whole Tripitak literature in Pali language is full of accounts related to the “Medical Miracles” of Jeevak. Jeevak went to Takshila University (Now in Pakistan) for his higher studies a place which could be called as the “first university of the world” and was famous for its specialized study. 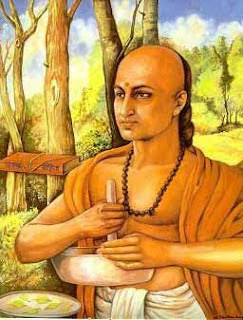 He studied the whole 8-limbed Ayurveda (Medical science of 8 subjects) here for many years. When the studies were over, the mentor of Jeevak examined him by giving a project. The task was to find a useless plant in the 5 miles circumference of Takshila. Jeevak wandered everywhere and reported in conclusion that “Every plant has medicinal and other uses, no plant is useless.” The teacher was extremely delighted to listen his answer. Stewed Spinach "Palong Shak Bhate"
A easy to cook Bengali recipe, super healthy and a delicious starter for any global rice platter. Put the spinach in the container of a double boiler or place the container to steam inside the rice pot while cooking the rice. Let it cool completely. Make a paste of Bengali mustard with chilies and salt. Add the mustard paste to the spinach, toss with grated coconut and mustard oil. Serve with piping hot rice.